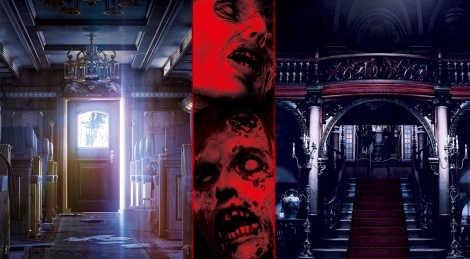 Capcom has announced Resident Evil Origins Collection, releasing on January 19th. The bundle contains the previously released remaster of Resident Evil and Resident Evil 0 which will be out separately in 2016. The latter will offer Wesker Mode, allowing players to control the famous character. Could a franchise be any more milked than this one? Oh, that's right: that other Capcom one...what's it's name? Street Fighter. Yeah, that's the one. Na. Those are usually always fun with fresh ideas. I don't know. I don't mind new games based on a series so long as they're good. To me, the definition of milking is akin to drawing blood from a stone, or flogging a dead horse. In Capcom's case, flogging a dead corpse...that was made 20 years ago. They've milked that baby so dry, it practically is a carcass. No, not at all. I like RE. I recently played the REmake again in HD. Loved it in fact. It's just that Capcom are virtually re-releasing the same game over and over, literally in some cases. They're just slapping a minor update on them and collecting the dough. That's a proper milking. Minimal effort on their part.